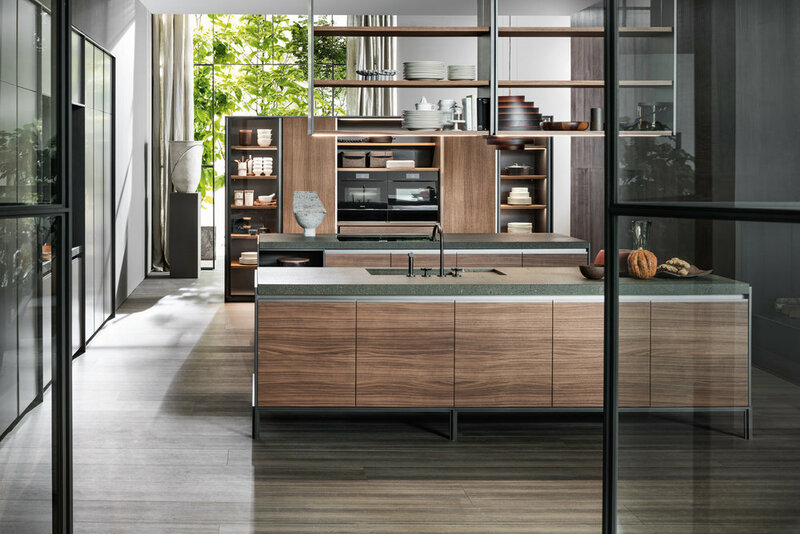 Since 1979 Dada has been part of the Molteni Group, a leader in the Italian furniture industry. With its companies Molteni&C, Dada, Unifor and Citterio, the Group offers a global range of services and products in over eighty countries in the world. Dada is positioned at the high end of the market with mass-produced items created by designers with extensive international experience: Banco by Luca Meda; Vela, Tivalì and Trim by Dante Bonuccelli; Hi-Line6 by Ferruccio Laviani; INDada by Nicola Gallizia; VVD by Vincent Van Duysen. Different models in terms of type, finishing and materials, but all with original solutions. Design and experimentation have always been the hallmarks of Dada kitchens. Innovative, both functionally, aesthetically and technologically, they are the result of intense research and testing, carried out in cooperation with architects and designers. Thanks to state-of the-art technological know-how, both in traditional woodworking and in the more innovative field of metals and new materials, Dada is able to satisfy specific design requirements. Alongside its standard ranges, Dada also produces customised designs for special projects, even on a large scale. This timeless classic has been radically changed with a project by Dante Bonuccelli. 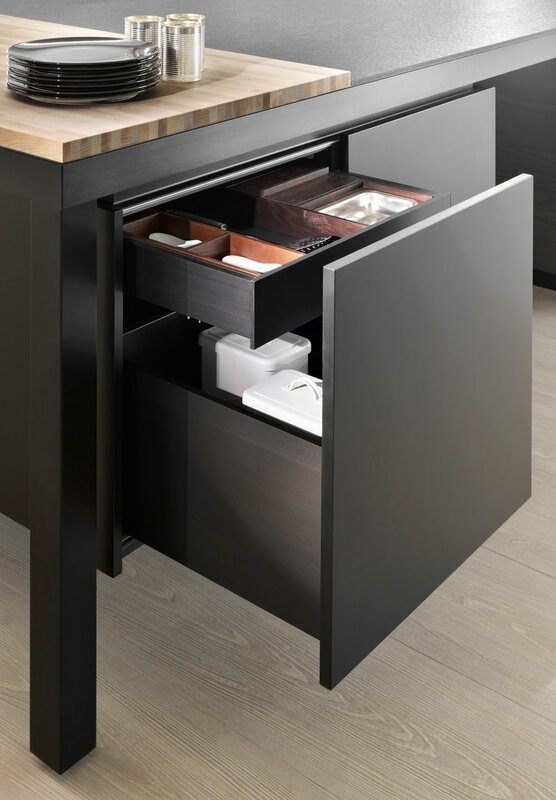 The construction technique evolves to layer different materials, compensating the tensions and designing new proportions and distinctive technical details, such as the new hinged door opening mechanism that allows the door to rotate in a particular way. 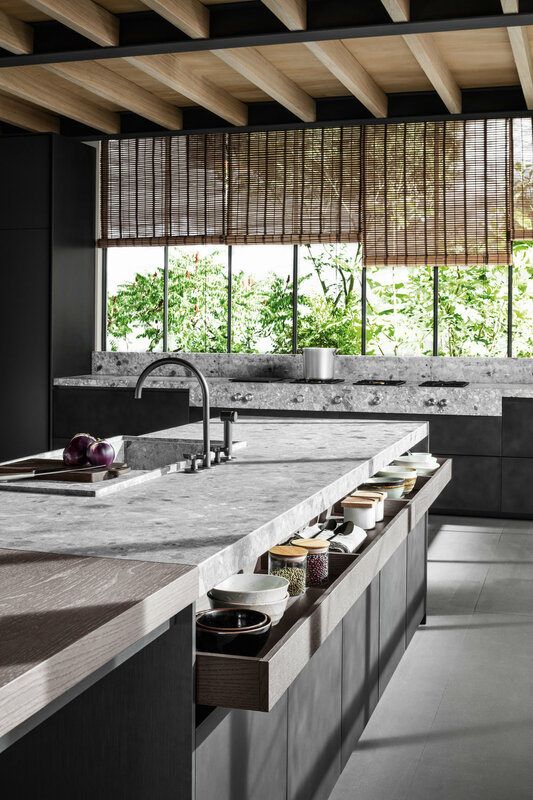 Overlapping of subtle lines on the worktops, which hide the technology behind the processes. 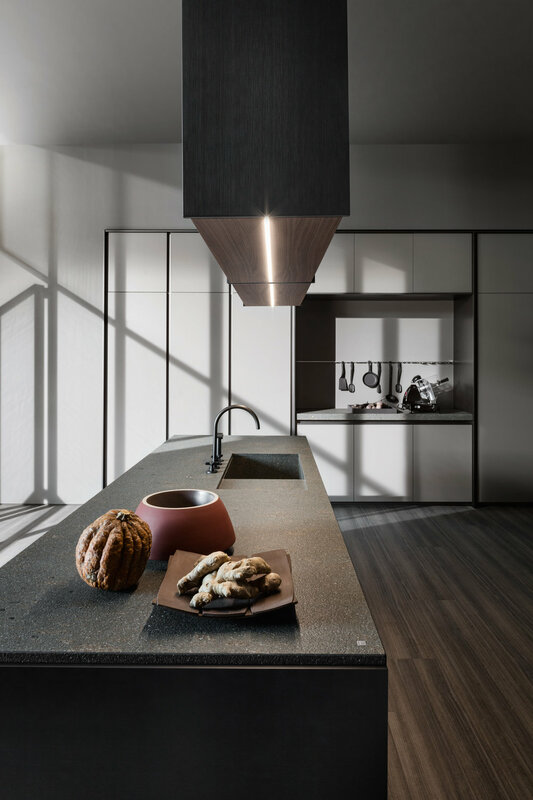 Vincent Van Duysen reinterprets the recessed handle detail in a modern and sophisticated key, working on the contrast between the slim side and end units and the considerable thickness of the worktops, which fit in, interrupting the linearity of the worktop, with stone sink bowls. 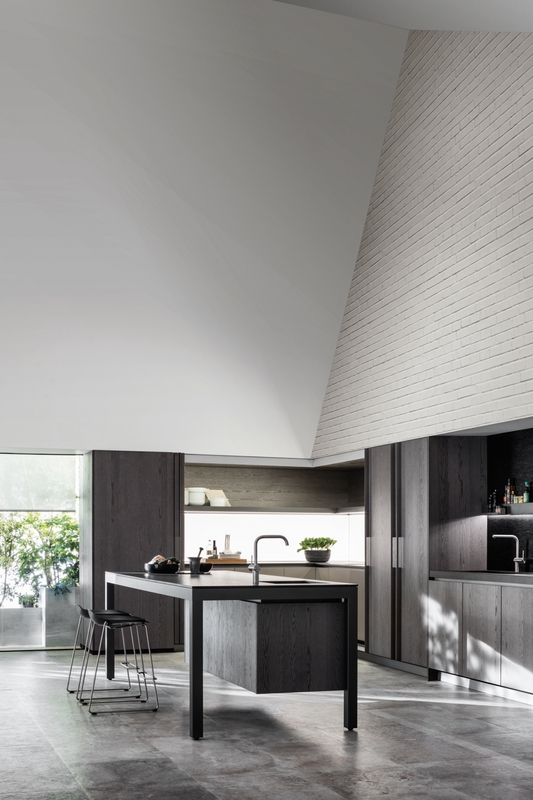 The kitchen gains a new architectural look, also thanks to the elegant ceiling units and slim, transparent glass cupboards with soft-closing micro-hinges. Banco, created by Luca Meda in 1994, concentrates the main cooking and washing functions in the freestanding structure, patented by Dada. 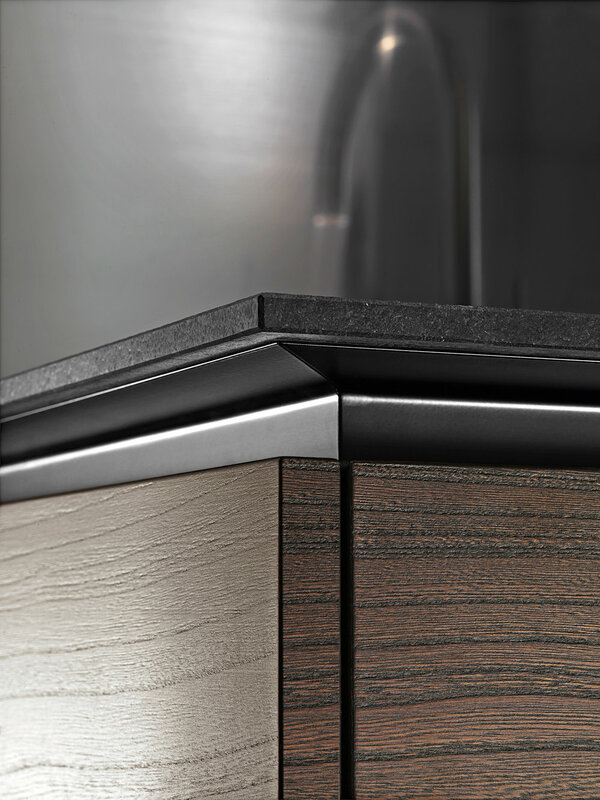 A solid extrusion of aluminium supports the slimline worktop which defines the horizon of the volumes. Thus the structure stays elevated and suspended, and can be completed with base units. The new Banco redefines material contrasts and opts for black and white. The island supports the storage units below. 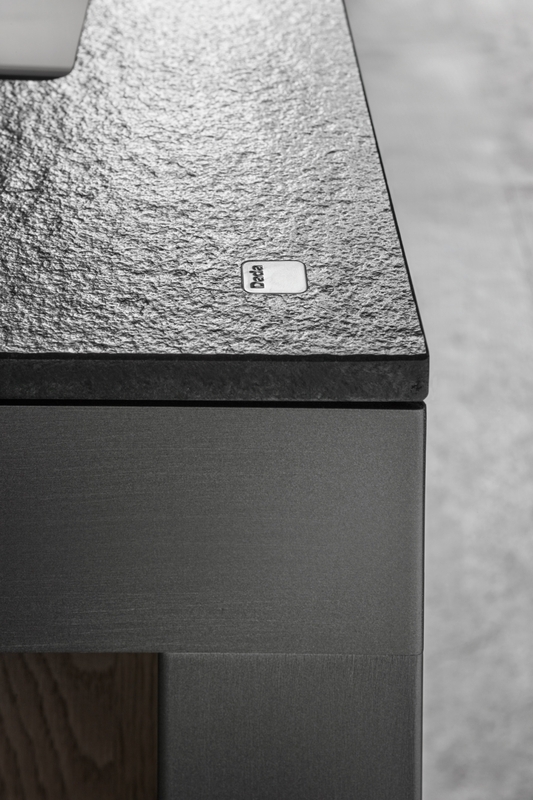 The slim worktop rests on the aluminium frame, concealing its solid core.